Question: Why did Yahweh wait until the last generation to establish His House? This Prophecy was also given by another of Yahweh’s Prophets and the Savior, Yahshua Messiah. 1 The word that Isayah son of Amoz saw concerning Yahdah and Yerusalem. 2 It will come to pass in the Last Days, that the mountain; promotion, of The House of Yahweh will be established in the chief of the nations, and will be raised above all congregations; and all nations will eventually flow to it. 3 And many people will go and say; Come, and let us go up to the mountain of Yahweh, to the House of the Father of Yaaqob, and He will teach us of His Ways, and we will walk in His paths. For the Laws will depart from Zion, and the Word of Yahweh will depart from Yerusalem. 4 He will judge among the nations, and will rebuke many people; they will beat their swords into plowshares, and their spears into pruninghooks; nation will not lift up sword against nation, neither will they learn war anymore. The ‘Last Days’ is explained by many Prophets as being the worst time of trouble ever, which is caused by a build-up of sin, changing Yahweh’s set Ordinances, transgressing Yahweh’s Laws of Righteousness, and breaking Yahweh’s Everlasting Covenant. 24 And his power will be mighty, but not through his own power; and he will destroy astoundingly, and he will succeed, and practice, and will attempt to destroy all forms of Holiness. 25 And through his policy, he will also cause craft; deceit and fraud, to succeed in his hand; and he will magnify himself in his heart, and by peace will destroy many. He will also stand up against the Prince of princes; but he will be broken without hands. 26 And the vision of the evening and the morning, which was told, is true; therefore, seal up the vision, for it will be for many days; the distant future. The Prophet Daniyl is speaking of Yahdah and the fourth beast formed by the twelve tribes of Israyl under the leadership of Yahdah—a religion of God worshippers, their government and their army. The fourth beast with the army? 20 And of the ten horns that were on his head, and of the other horn which came up, before whom three fell—the horn that had eyes, and a mouth that spoke very great things, whose look was more stout; more mighty and imposing, than his fellows. And he will speak great words against Yahweh, and will wear out; mentally attack to cause to fall away, the Saints of Yahweh, and think to change times; Yahweh’s Feast Days, and Laws; and they will be given into his hand until a time, and times, and the dividing of time. Did you notice that this beast speaks against Yahweh? You need to understand this because it shows to whom this beast (religion) belongs and who this beast obeys. Compare the following and remember, this beast (religion) is against Yahweh. In verse 1, we see Satan teaches against Yahweh’s Laws of Righteousness, which is opposite to the Savior’s Teaching. 17 Do not even think that I have come to destroy the Laws or the Prophets; I have not come to destroy them, but to establish them. 18 For truly I say to you; Unless heaven and earth pass away, one yodh—the smallest of the letters—will in no way pass from the Law, until all things are perfected. 19 Whosoever, therefore, will break one of the least of these Laws, and will teach men so, he will be called the least in the Kingdom of Yahweh; but whosoever will do and teach them, the same will be called great in the Kingdom of Yahweh. 20 For I say to you: Unless your Righteousness exceeds the scribes and Pharisees, you will certainly not enter into the Kingdom of Yahweh. Yahshua’s Message is very clear. Practicing Righteousness is absolutely required if you want Eternal Life. To whom was Yahshua speaking? Answer: Mattithyah 19:8 – the twelve tribes of Israylites brought out of Egypt by Mosheh, who ruled Israyl with their army, shown in Daniyl 11:31, under the tribe of Yahdah. And to whom do they belong? You can believe the Inspired Scriptures but you cannot believe 4,199 religions in this generation that teach as Satan taught Eve. Satan’s teaching is, “Don’t believe Yahweh, be evil like the Gods”. But where are your Gods (elohim, teraphim) that you have made for yourselves? Let them rise, if they can, and save you in your time of trouble; for according to the number of your cities are your Gods (elohim), O Yahdah. YOU SHOULD KNOW BY NOW THAT YAHWEH IS NOT A GOD! In fact, the Gods and Satan are evil and are adversaries to Yahweh, who is the One and only Creator of heaven, earth and mankind. The words ‘Lord’ or ‘the Lord’, and ‘God’ or ‘the God’ are nothing more than titles of men and demons. Yahweh is the only Being Who can foretell the future with one hundred percent accuracy. The plagues spoken of in Revelation 9:20 are the prophesied wars taking place, as I write, in that fourth part of the earth, which is home to the great River Euphrates (Revelation 9:14). The plagues are the same as shown in the beginning – continual war! Cain chose to be evil like the Gods-demons. All gone the way of Cain? All nations, all religions, deceived by Satan, are evil like the Gods. Did you notice Genesis 4:7? The desire to sin is within each person. Satan puts within her preachers and priests to teach the world to sin. Do you remember what Yahshua Messiah said about Yahdah and Yerusalem? Yahshua said to her: Woman, believe Me: The hour comes when you will worship the Father neither on this mountain, nor in Yerusalem. Yahdah is the Coptic Catholics Mosheh brought out of Egypt, the heads of Yaaqob. They persecuted and murdered Yahweh’s Prophets. 53 You, who have received the Laws as they were ordained and delivered by Malakim, have not kept them! Yahdah and all the heads of Yaaqob were calling themselves Pharisees, Sadducees, Essenes and Herodians at that time. Then in 70 AY, they destroyed Yerusalem with their Roman army, moved everything to Rome and murdered all Sabbath-keepers in Yerusalem. Remember Revelation 12:9, Satan deceives the whole world. Yes! And Satan deceived Yahdah. To understand this, read the scenario that Yahshua gave showing the rejection of Yahweh’s Righteousness and the Son of Man, Who taught them the Doctrine of Life (Salvation) that was given to the Yahdaim. Now read the parable or scenario about the rejection that took place for a few thousand years, causing all Israylites and all nations to forget the Name, Yahweh, and to forget Yahweh’s Laws of Righteousness, that Yahshua said to seek first. Then last of all he sent his son to them, saying; They will reverence my son. 10 The scepter will not depart from Yahdah, nor a ruling staff; lawgiver, from between his feet, until He comes to Whom tribute belongs, and the obedience of the nations is His. The Son, Who is Yahshua Messiah, was rejected by the Yahdaim. That’s Yahdah who holds the scepter of Righteousness but has rejected the Righteousness; yet, still holds the power of law-giver. They will hold this power until the obedience of the nations all turn to Yahweh. They rejected Yahshua, the One Sent, because He taught the Way of Righteousness—the Laws of Yahweh. They rejected and hated Him and the Heavenly Father Yahweh. They murdered Yahshua. 28 Then Yahshua cried out in the sacred precincts of The House of Yahweh as He taught saying: So you know Me, and you know where I am from? But I have not come on My own, but He Who sent Me is true, Whom you do not know. 29 But I know Him; for I am out of Him, and He has sent Me. 30 Then they sought to arrest Him; but no man laid hands on Him, because His hour had not yet come. The next Scripture is a very great lesson, but it requires study not just reading. 34 Yahshua answered them: Truly, truly, I say to you: Whoever commits and practices sin is the servant of sin. Verse 31 shows they were Yahdaim; that is, the tribe of Yahdah. They called themselves Pharisees, Sadducees, Essenes, and Herodians. They had taken control of The House of Yahweh. 32 The Pharisees heard that the people murmured such things concerning Him, so the Pharisees and the chief priests sent officers to arrest Him. Notice the word officers. Those officers were officers of their own Roman army. The same army destroyed Yerusalem and moved The House of Yahweh and its artifacts to Rome in 70 AY. Then Yahshua said to them: Only a little while am I with you, and then I go to Him Who sent Me. With that information in mind, read the rest of Yahshua’s Parable. 37 Then last of all he (Yahweh) sent his son to them, saying; some will reverence my son. In verse 34, we see that Yahweh sent servants (Prophets). Please get this point. The Coptic Catholic Christians, whose fathers received the Laws, were the Pharisees, Sadducees, Essenes and Herodians, the heads of Yaaqob, who hated Righteousness (Micahyah 3:1-2). They were calling themselves Pharisees, Sadducees, Essenes and Herodians, and as the Prophecy of Daniyl 7 shows, they were building the greatest army that stood on their part. In Mattithyah 21:37-38, we’re shown that Yahweh sent His Son and they (Pharisees, Sadducees, Essenes, and Herodians, the heads of Yaaqob who hated Righteousness, [Micahyah 3:1-2]) murdered Him. Remember, these Pharisees, Sadducees, Essenes, and Herodians were the children of those whom Yahweh had brought out of Egypt—the house of Israyl; the Yahdaim. They were the Coptic Catholic Christians who hated Righteousness, even as they still show in this generation, rejecting Yahweh’s Righteousness, as shown by Yahweh’s Prophets. 41 And they made an image of a calf in those days, and offered sacrifice to the God (el), and re­joiced in the works of their own hands. Did you see, they turned back to Egypt (verse 40); that is, to God worship, even the worship of the host of heaven—the demons—as they still do today? The wars spoken of here are the prophesied wars in a specified location—of a fourth part of the earth—in and around the great River Euphrates, the exact location of where the wars are taking place at this time, started in this prophesied generation. According to these same Prophecies, they will kill one-third of man over that fourth part of the earth. Prophecies also show that the religions will not repent, even after a third of man has been murdered in that location. This will lead to all-out burning of the earth by nuclear weapons. Saying to the Last Malak which had the trumpet: Loose the four messengers who are bound for the great River Euphrates! 7 And when He had opened the fourth seal, I heard the voice of the fourth living creature say: Come and see. 8 And I looked, and behold, a pale horse. And the name of him who sat upon it was death; and sheol; the grave, followed with him. And power was given to them over a fourth part of the earth, to kill with sword, and with hunger, and with pestilence—the same under the authority of the beast of the earth. 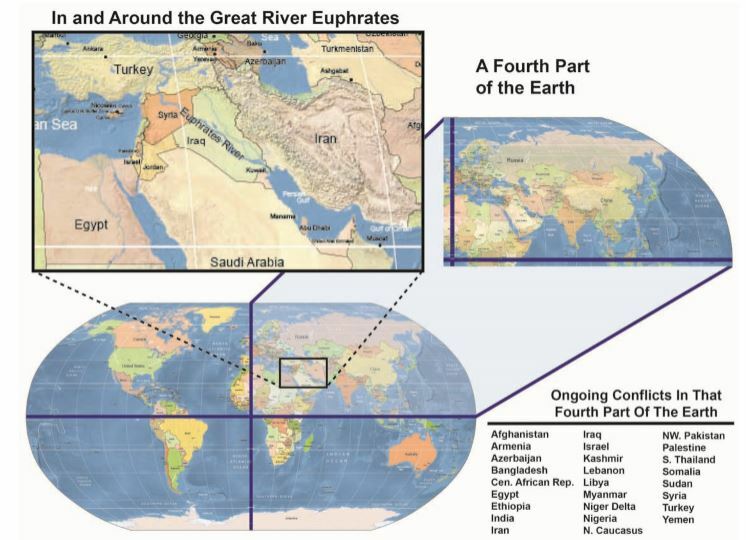 Those two Scriptures show that fourth part of the earth that houses the great River Euphrates which is shown in the following map. Revelation 6:7 shows four living (active) figures which are the Quartet that is led, given authority, by Yahdah. Yahdah makes up the Vatican, which means divining serpent. Yahdah is the house of Israyl who made their move to Rome in 70 AY after destroying Yerusalem. The prophesied wars in progress, as I write, were started by giving authority to the Quartet thirteen years ago. The Pharisees, Sadducees, Essenes, and Herodians are Yahdah, the house of Israyl, the Coptic Catholics, and now Roman Catholics. Universal means they worship all Gods, even the host of heaven—demons. Yahweh warned them of what God worship would bring. Keep in mind that Yahweh is not a God. A God is a being—demon, Satan or man—who, by force and violence, tries to raise themselves over and above others to rule them. Yahdah, the house of Yaaqob, is being led by the serpent, not Yahweh. In verse 5 notice, evil like the Gods. 36 So, since being a son of Yahweh—a Righteous man or Saint—is what makes you free, you will really be free from the Gods (elohim)! Satan, that old serpent, made herself a God. 15 Yet your evil doing will bring you down to the grave, to the depth of the pit. With the above, remember the scenario Yahshua gave showing what’s in the heart of Yahdah, the Vatican. They think, with Satan and her Gods, they will overthrow the Kingdom of Yahweh and take the inheritance by force, instead of practicing Righteousness and receiving the inheritance as a gift of Yahweh to those who are in Unity with Yahweh’s Righteousness. Isayah 14:17 – made the world a wilderness? Yahweh warned the world, and is again warning the whole world, that they will burn themselves to ashes. In verse 18, did you see perish? Yahweh’s Prophet Daniyl shows the perishing of the fourth beast. That beast is none other than the Vatican—the Coptic Catholic, Roman Catholic, universal God worshippers—shown in Deuteronomy 30:17-18 to perish. 7 After this I saw in the night visions, and behold, a fourth beast, dreadful and terrible, and exceedingly strong; and it had great iron teeth; it devoured and broke in pieces, then trampled the residue with its feet. It was different from all the beasts that were before it; and it had ten horns. 8 I considered the horns, and behold, there came up among them another little horn, before whom there were three of the first horns plucked up by the roots; and behold, in this horn were eyes like the eyes of man, and a mouth speaking great things. 9 I beheld until the thrones were set in place, and the Ancient of days did sit, Whose vesture was white as snow, and the hair of His head like the pure wool; His throne was like the fiery flame, and His wheels as burning fire. 10 A fiery stream issued and came forth from before Him; thousand thousands ministered to Him, and ten thousand times ten thousand stood before Him; the Judgment was set, and the books were opened. 11 I beheld, then, because of the voice of the great words which the horn spoke; I beheld until the beast was slain, and his body destroyed, and given to the burning flame. Verse 11 – notice the burning, nuclear burning, from their nuclear powers. Verse 7 – this fourth beast has ten horns, meaning ten religions. Verse 9 – this fourth beast stays in power until Yahweh’s prophesied Thrones are set in place and Yahweh reigns completely. 1 And he showed me a pure river of water of Life, clear as crystal, proceeding from the Throne of Yahweh and of the Lamb. 2 In the middle of its street, and on either side of the river, was the Tree of Life, which bears twelve fruits, and yields her fruit every moon; month; and the leaves of the tree were for the healing of the nations. 4 And they will see His Face, and His Name will be in their foreheads. 5 And there will be no night there. And they need no lamp, nor light of the sun, for Father Yahweh gives them Light. And they will reign forever and ever. Think! Revelation 22 is the last chapter of the Inspired Writings given to mankind. The Savior is still saying, the only way to the Tree of Life is by practicing the Laws of Yahweh. And the dragon was wroth with the woman, and went to make war with the remnant of her seed, which keep the commandments of (Yahweh), and have the testimony of (Yahshua Messiah). Here is the patience of the saints: here are they that keep the commandments of (Yahweh), and the faith of (Yahshua). Verse 26 – Yahweh Judgments are set. 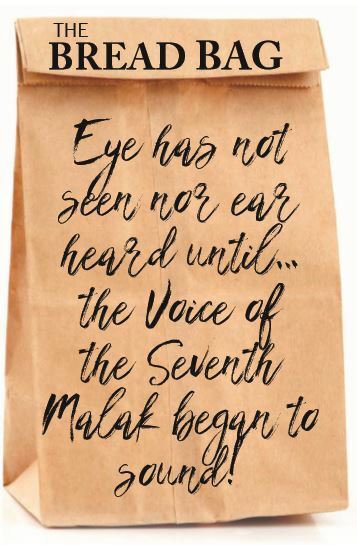 His Prophecies are written for all to see. Under the leadership of the serpent and the Gods, hatred and wars will be continual, until the great burning takes place. But the beast will not continue. I beheld, then, because of the voice of the great words which the horn spoke; I beheld until the beast was slain, and his body destroyed, and given to the burning flame. Those who live by the sword (bombs) will die by the sword (bombs). 4 Remember the Laws of Mosheh My ser­vant, which I commanded through him in Horeb for all Israyl, with the Statutes and Judgments. Verse 18 – you will surely perish! WHAT COULD HAVE BEEN DONE TO CHANGE THIS GLOBAL WARNING? This is not just any burning. Yahweh’s Judgment is that your choice to serve the serpent and sin will darken the sun due to your wars of hate. WHAT DOES MANKIND POSSESS THAT WOULD DARKEN THE SUN? The following article and essay from Discover magazine deals directly with the consequences of nuclear war. Dr. Thomas was one of the four American scientists who, at the invitation of Senators Edward Kennedy and Mark Hatfield, met in Washington in December for a three-hour open discussion with four Soviet counterparts. The subject of their discussion: the nuclear winter (DISCOVER). WOULD YOU BELIEVE YAHWEH IF HE GAVE YOU THE EXACT TIME OF THE BURNING? Read for yourself Yahweh’s set Judgment — His written Prophecy. Revelation 18:4-5 – caused by sin. Isayah 24:1-6 – caused by sin. Mattithyah 24:11-12 – caused by Satan’s preachers teaching all the world to break Yahweh’s Laws of Righteousness. Revelation 18:10, 17, and 19 all say in one hour the earth will be burned. Read what the military intelligence says. Sophie Shevardnadze: …Ted, President Obama came into the White House calling for “Global Zero” – now, there are plans to spend a trillion dollars on an overall of entire nuclear arsenal. Why is this happening? Dr. Theodore Postol: I think this is a consequence of the domestic politics. SS: Now, do you believe the U.S. is readying its nuclear forces for direct confrontation with Russia? Do you think nuclear war is possible now? At any scenario, do you see that? Did you notice it’s Yahweh’s Judgment that His Way will bring peace? Verse 3 – war no more? Will His Judgment come to pass? Did His Judgment come to pass about bombs that can darken the sun in this generation? Do we not have bombs that can burn the earth in one hour? You just read it. Now you better take it seriously. Sinners are killing themselves every day through hatred, fighting, and wars; also by sickness and disease caused by acts of sin. Yahweh’s Way of Peace, Joy, and Love was offered to mankind in the beginning but evil like the Gods, that caused Cain to murder Righteous Abel, filled the earth, as well as continual wars. In verse 23, notice this Prophecy is for the Last Days, which Yahshua called ‘that generation’. Remember verse 29 about the bombs that can darken the sun and burn the earth in one hour. 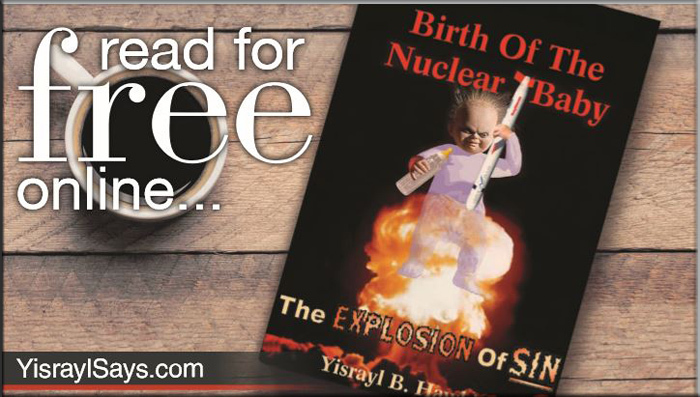 That generation (verses 33-34) is here, and many nations are loaded with and ready to use those bombs that were foretold of by Yahweh thousands of years ago for this generation. In these Last Days, Yahweh has started a Work that will actually stop sin and wars. This Work will not be in Yerusalem or in Israyl. It will be in the chief of the nations—the USA (verse 1). It’s prophesied only for this generation; the Last Days—The End. Yes! It will be the end of sin and sinners. 24 Seventy weeks are determined upon your people, and upon your Holy City, to finish transgression, to make an end of sins, to make reconciliation for iniquity, to bring in Everlasting Righteousness, to seal up the vision and Prophecy, and to anoint the Holiest of the Holy People. 25 Know therefore, and understand that from the going forth of the commandment to restore and to rebuild Yerusalem, to the Messiah the Prince, will be seven weeks, and sixty-two weeks; the street will be rebuilt again, and the wall, even in troublous times. 26 And after the sixty-two weeks Messiah will be cut off, without a successor; and the people of the prince that will come will destroy the city and the sanctuary; and its end will be with a flood; and unto the end of the war desolations are determined. 27 And he will confirm a covenant with many for one week; seven years, and in the midst of the week, he will seek in vain to cause the sacrifice and the oblation to cease; instead, he will cause the prevalence of the Lord of heaven, even until the destruction that is determined will be poured upon the desolator., the fornication and defilement with the queen of heaven, that one whose pride overcame her, causing her to go mad, to raise herself up, to give herself a name. In the beginning, Yahweh warned mankind of following the adversary—the serpent and her Gods—who would bring sickness, disease and confusion. Have you seen the news lately? Have you noticed how crazy the people are acting and reacting, even the world leaders? Yahweh told mankind what would occur before he went in that direction. 15 Yes, Truth; the Laws, is suppressed; and he who departs from evil; upholds the Laws, is accounted as mad; makes himself a prey! Yahweh saw this, and it displeased Him that there was no Justice. But of the tree of the knowledge of Righteousness and evil you must not eat, for starting with the day you eat of it, dying you will die. Did you notice Yahweh said in verse 17, “don’t partake of evil”? You must not practice evil like the Gods. Will you notice it now? Mankind followed the serpent and the Gods. They cut themselves off from Yahweh! Yes! Get this point. They cut themselves off from Yahweh and Life. 1 Behold, Yahweh’s Hand is not shortened, that it cannot save; nor His Ear heavy, that it can­not hear. You belong to whom you obey. They cut themselves from Life. The Way of the Tree of Life was taught in the beginning by Abel. 9 And out of the ground Yahweh made every tree grow that is pleasant to the sight, and desirable for food. The Tree of Life was in the midst of the garden, and the tree of the knowledge of Righteousness and evil. Cain killed Abel, the teacher of Righteousness. Now Cain talked with Abel his brother; and it came to pass, when they were spread abroad, that Cain rose against Abel his brother and killed him. So that upon you may come all the Righteous blood shed upon the whole earth, from the blood of Righteous Abel to the blood of Zecharyah, the son of Berechyah, whom you murdered between the porch and the altar. In this generation, all trees, except one, teach all nations to hate and war as Cain did. All of those trees have gone the way of Cain, said Yahdah (rendered Jude in the KJV). Now read Yahshua’s Words, He explains the use of the word ‘tree’. Why do 4,199 religions in this generation reject the Words of the Savior, Yahshua Messiah? The time of sin and sinners will end in this generation with destruction as Yahweh’s Prophecies show. When mankind rejected the Tree of Life, they cut themselves off from the Tree of Life. Yahweh’s Plan is to give them 6,000 years to prove to themselves what the tree of evil (iniquity/mixture) will bring. Now read the rest of Yahshua’s explanation of the two trees shown in Genesis 2:9. Verse 17 shows that one of the two trees—the Tree of Life/Righteousness—teaches the practice of Righteousness. The other tree—the tree of evil—is inspired by Satan and her Gods to deceive mankind into practicing evil, like the Gods. You see this coming forth from all houses of the Gods. From the mouths of preachers and priests, you hear that the Laws of Righteousness were done away. Get ready for war say the recruiting officers. Mattithyah 7:18 shows that a Righteous Tree cannot bring forth iniquity. Iniquity means sin. It means teaching that Yahweh’s Laws or Righteousness have been done away with; it’s not necessary to practice them they say. Don’t believe Yahweh or Yahshua, they say, just repeating the words of the serpent. With that teaching, they make war with the Lamb. And through his policy, he will also cause craft; deceit and fraud, to succeed in his hand; and he will magnify himself in his heart, and by peace will destroy many. He will also stand up against the Prince of princes; but he will be broken without hands. THE PRINCE OF PRINCES IS THE LAMB OF YAHWEH, YAHSHUA MESSIAH. Verse 23 shows the time period is the Last Days. Mattithyah 24:3, 33-34 show the Last Days is The End; the last generation of sin and sinners. It’s the time of the Greatest Tribulation of any time in history. Verse 29 shows the bombs that can darken the sun, which started in 1934, the start of ‘that generation’. By showing this time period—the Last Days, the last generation—of sin and sinners, with 4,199 religions coming against Yahshua, means Yahshua has a Work at this time. This time is called the Last Days. So Yahweh’s Work, called The House of Yahweh, involves Yahshua Messiah in this time period. Did you get that? Last Days? Last generation. Yahshua is High Priest over The House of Yahweh established in these Last Days. We now see The House of Yahweh established in the Last Days, in the generation that started in 1934, with Yahshua as the High Priest sitting at the Right Hand of Yahweh. What is He instructing and teaching? Here is Yahshua, as High Priest over The House of Yahweh, putting the Laws of Yahweh in the hearts, helping everyone to fully understand why Yahweh gave those Laws of Righteousness. This is in fulfillment of the Prophecy given in the beginning. Read now what is for the Last Days. Verse 10 – the obedience of the nations is His (Yahshua). Yahweh’s Plan is a 6,000 year Plan to let mankind choose Righteousness or evil, but He prophesied in advance what sin/evil—the breaking of Yahweh’s Laws—would bring. Yahweh has done this, and His Prophecies, thus far, have been 100% correct. The End—letting sinners destroy themselves with their own chosen activities; yet, warning them of what their sinful ways would bring—will be a history used for generations to come. The eternal world for those who choose first the Kingdom of Yahweh and His Righteousness is a world where Righteousness will dwell. Did you see verse 7? You must overcome. Now read it in the last Book in the Inspired Scriptures. Nevertheless we, according to His Promise, look for new heavens and a new earth, in which Righteousness dwells. With sin is continual war. With Yahweh there will be war no more. Then the obedience of the nations will be His. The Scepter will not depart from Yahdah, nor a ruling staff; lawgiver, from between his feet, until He comes to Whom tribute belongs, and the obedience of the nations is His. Jeffrey: Welcome to another addition of YPN News, bringing you the news that relates to Bible Prophecy and foretold by Yisrayl Hawkins. North Korean launching another missile test; this one going further than any of their previous missile tests. Also, a Saudi-Israeli secret meeting. I wonder what they’re discussing. And a milestone for the New York stock exchange. Jeffrey: Food, something many of us take for granted. We open our cupboards and refrigerators, it’s there. We go to the grocery store or open markets or even our own backyards and may find it in abundance. But now food has become a scarce commodity to many in some countries. Drought is a contributing factor, as we’ve talked about before, but increasingly cutting off people’s access to food supplies is being used as a weapon of war. Jeffrey: In an interview with Al-Jazeera News, Executive Director of The World Peace Foundation and Author of Mass Starvation the History and Future of Famine, Mr. Alex deWaal called Yemen the “Famine crime of our generation.” He said there has been no international response to the plight of the Yemenis people up to this point. And what is taking place is quote, “…the destruction of an entire country through gradual degradation of its economic infrastructure, its social welfare infrastructure, the deprivation of food.” But Caton, isn’t there a ‘red line’ that countries have when it comes to war tactics like this starvation? Caton: Sure. Many countries have those ‘red lines’ and they have their doctrine in place to basically protect humanity. For instance, the use of chemical weapons in other countries. That opens up an outcry for investigations of war crimes. 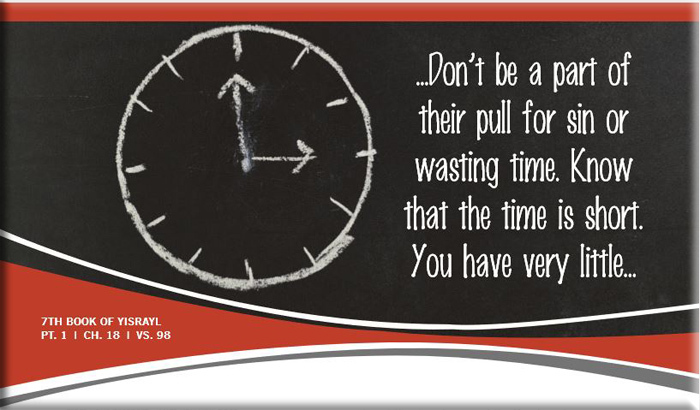 However, when it comes to famine deWaal says “…it has not been seen as a ‘red line’. So nothing there governing that. This, he says, is due largely to the fact that world powers like the United Kingdom and the United States, have a history of using the same strategies of blockade and starvation in their military tactics. So they are not willing to call it a war crime, but we can see it clearly is a crime against humanity. Caton: So Yemen is officially in a state of famine due to the Saudi-led coalition blockade, but that doesn’t really mean anything to the international powers that be. While humanitarian agencies generate publicity there are no legal mechanisms in place to help and no governments are obligated to act to prevent such a famine from taking place. So in other words Jeff, no one is doing anything to stop it. Jeffrey: And really Caton, we could talk about the famine all day long, but until you actually look at the pictures and the videos coming out from places like Yemen and see how the famine and starvation has truly affected those, you just don’t feel that sense of crisis there. Older children of 12 and 15 have been reduced to babies not having the strength to even cry. Their skin clings to their bones and their eyes bulge from their sockets. The trauma of severe malnutrition is something unconceivable to many of us. But imagine for a moment if it was someone you knew. Caton: Not only has the blockade cut off food to the Yemenis, but also much needed aid to hospitals including medicine for fevers, painkillers, even oxygen. If that wasn’t enough, the water supplies have become contaminated in many areas which has created a cholera epidemic. The 19th Century disease is spreading so fast that there are over 5,000 cases of cholera reported daily. Saddest of all over 40% of those are children. Caton: While we see there isn’t any one political entity taking charge to help the situation in the Yemini town of Hudaida, mass protests are underway. Demonstrators have taken to marching through the streets accusing Riyadh and its coalition of genocide. Caton: So what was meant to be a straight forward appeals judgment quickly turned to confusion. Seconds after the judges upheld Bosnian Croat military leader Slobadan Praiyak’s 20-year sentence, the military leader stood up and said, “Judges, Slobodan Praijak is not a war criminal! I reject your verdict with scorn”. As one judge cried out, “Stop please, please don’t!” The military leader can be seen downing a shot of poison. The court proceedings were halted as emergency workers were called in. However, his death was announced on Croatian television. Jeffrey: Well, despite efforts to block North Korean strides towards developing more advanced weaponry, the nation still continues to push forward, and new missile tests this week have caused a new round of condemnation by the US and other nations. YPN’s Larry McGee has our report…Larry. America is said to be urging all nations to adopt measures that will prevent the DPRK from buying and selling–in addition to also insisting that Beijing cut off its oil supply. China’s response was that North Korea should comply with all relevant Security Council resolutions and cease actions that escalate tensions on the Korean peninsula. The DPRK itself is said to be raising its arms in victory. After its latest test, the embattled nation is allegedly reporting that its rocket weaponry system development is complete, and it is now finally a nuclear state. The response of other UN members such as France, is that in a matter of months the North Korean threat has shifted from regional to global. Most noteworthy, however, is the tussle in the Assembly between the US and China and Russia. China has continued to rebuff American demands to cut off oil to the North, and along with Moscow, is calling instead for a ‘freeze for freeze’ scenario, where North Korea would slow its missile program, if the US and South Korea would lower their military posture on the peninsula. America has rejected that proposal strongly, and is slated, according to reports, to embark upon more joint exercises with South Korea this week. North Korea has stated, that the drills are a rehearsal for war. For YPN News I’m Larry McGee. Caton, Jeff, back to you. Caton: By the looks of it, it definitely seems that North Korea isn’t slowing down with its missile program, despite the threats and the sanctions that are posed against it from the international community. Caton: Well, the Niger government has given the US permission to use drones in the country to target terrorist activity. According to RT, a leaked memo shows the deal between the pentagon and the government of Niger calling for the arming of surveillance drones operating from a local airbase along with additional troop deployment. The operation will support long-term strategic partnership between the US and Niger, as well as the ongoing effort to counter violent extremism throughout the region. Jeffrey: Since 9-11 the US has used these UAV’s to drop bombs on countries like Afghanistan, Pakistan, Yemen and Somalia. US drone strikes have killed an estimated 1,500+ civilians, and the number of strikes is nearly 5,000. Lawrence Freeman an African affairs analyst said that West African countries can be put under a lot of pressure by various western partners. US drone and troop build-up will cause internal problems. This is the first time that armed drones will be flying so this is a big problem for the Niger government and all of Africa for allowing the US to carry out these types of military attacks. Caton: He continued, the strategy will not work without a larger strategic plan and the African countries are being pressured to allow a larger military build-up and drones. And he said, it’s not going to solve the problem, which war never does. More drones, more weapons never does solve the problem. Jeffrey: An historic secret meeting between Israel and Saudi Arabia’s crown prince has just gone down recently. The rumors of this report are coming from the Arab media, evidence of their diplomatic relations supports it; but of course, either country won’t just come out and say such a thing took place. Even after the crown prince reportedly arrived in Israel, Saudi Arabia tried to play it off saying Qatar sent people. If it was the Saudi prince this is a big game changer as the move could signal an important agreement, actually a regional ally for Israel. Caton: The two countries have had no previous relations. In fact, the Saudis have heavily aligned themselves with the Palestinians and have pushed for the withdrawal of the Israelis from the west bank. The Arab world has voiced its criticism of the alleged meeting with Prime Minister Netanyahu himself and discussing security ties between the two countries. There has always been speculation of secret ties between Israel and Saudi Arabia over isolated economic and military operations, a visit from the crown prince could signal an upgrade is already underway. Jeffrey: Well, the Dow crossed 23,000 points for the first time ever. This despite a terror attack in London and the NK launching a missile test again. Jeremy Siegel, a professor of finance at the Wharton school, said that he thinks the Dow will hit 24,000. He said we have a lot of gains that are going to be important. We’re going to see the tax cut, the fed choice, the employment report Friday and the Fed meeting Wednesday. He said that he has never seen a week with this many earth-shattering economic events as we have this week. So they are really looking for the gains to come forth to reach that 24,000. Caton: Yep, fill those pockets. In Washington DC, just moments after Michael Flynn pleaded guilty, NBC news released information from two sources familiar with the matter stating: Jared Kushner, a very senior member of the presidential transition team, mentioned in a statement of offense as speaking to Michael Flynn on December 22nd about the U.N. resolution regarding Israel. This, of course according to analyst, puts Jared Kushner in the line of plotting with the Russians about diplomacy goals with the U.N. and raises the question about how high these orders came. Jeffrey: For Jared Kushner who is a close confidant to the president, it raises questions as whether he was speaking on behalf of the president and raises questions regarding criminal exposure regarding the underlying acts. Now according to Ari Melber, the host of MSNBC’s, The Beat, that means that Mike Flynn was lying to the FBI about his dealings with Russia for certain goals. Caton: Those goals being number one, easing the sanction put in place by the Obama administration over Russian meddling and number two goals that regarded Middle East diplomacy at the U.N. including direct contact with Russia. So that’s dealing with those areas in the Middle East, which we know that Russia is heavily involved with Syria and some other operations there and so we’re seeing a lot of these things come to light with these proceedings. Caton: Well, as you can see, the nations are strategically aligning themselves politically to achieve their own goals under the pretense of bringing peace. Starving nations, threats of war and building up military forces will never bring mankind the joyous and peaceful life they desire. But there is a way to peace. For many years Yisrayl Hawkins has been teaching that way to peace. In fact, he’s dedicated his entire life’s works to warning mankind of what they’re bringing upon themselves along with the peaceful solution to turn it around. Although the information is free, what it can produce in your life is priceless. 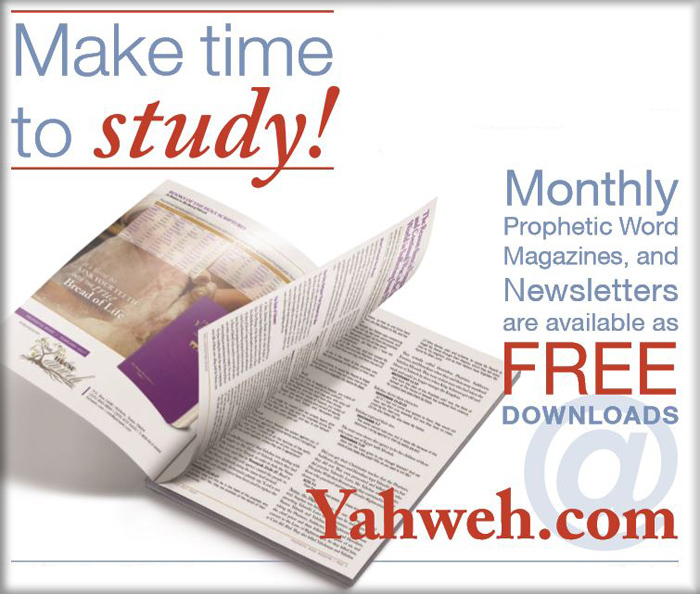 Or visit them at any one of their websites: www.yahweh.com, www.yisraylhawkins.com, www.yahwehsbranch.com or you can visit our website at www.ypnnews.com.